In case you haven’t heard, Amazon is giving away the Kindle editions of Crazy Love, Forgotten God, and Erasing Hell by Francis Chan. Don’t own a Kindle? 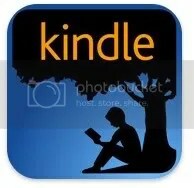 No problem – just download the free Kindle app for your device and you can access these great resources free of charge (Kindle app available for Windows PC, Mac, iPhone, iPad, Blackberry, Android, or Windows Phone 7).